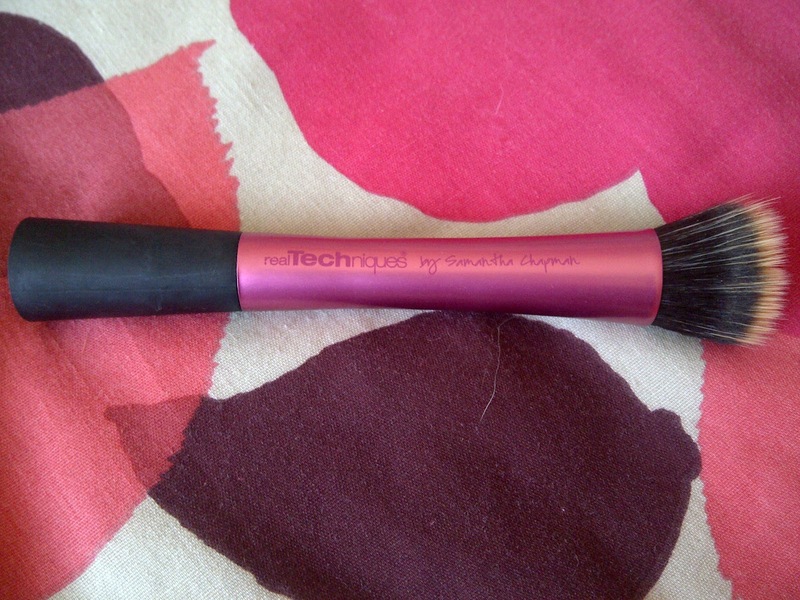 Today I'm going to review one of the newest additions to my make up bag and ultimate favourite beauty item of the moment, the Real Techniques Stippling Brush. If you don't know already the Real Techniques brush range has been created by Samantha Chapman, who is one of the Pixiwoo girls and I think it's great that a beauty blogger and youtube guru has become such a success and created such amazing products! 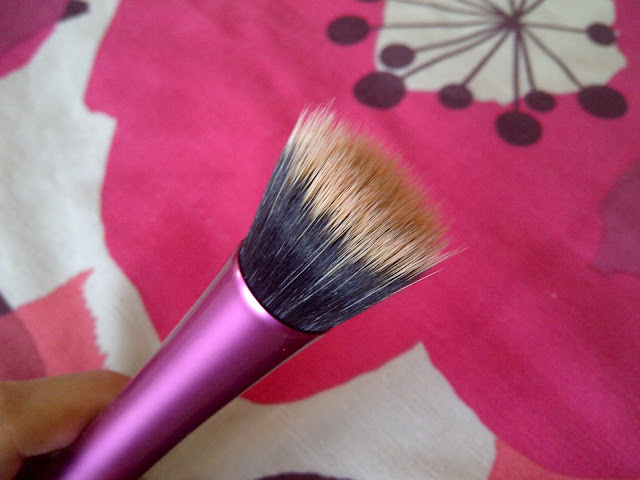 I bought this brush because I really wanted to find a brush that applied my foundation more easily and with an airbrush finish, which I found hard to achieve though application with my fingers or foundation brush and as I had heard a lot of great things about Real Techniques from beauty bloggers and youtubers I thought I'd give the stippling brush a go. Firstly, I really like the brushes appearance as I love anything pink and girly and I think that it looks professional whilst also being extremely light weight, making it easy to carry and handle. It's cool that you can stand it up too, although until I finish uni and have a permanent dressing table mine will spend most of it's time lying down in my make up bag! Just as it claims, the bristles are very high quality and haven't shed at all and even though they are soft, their short length gives the brush very little give, unlike the e.l.f stippling brush for example, which makes it perfect for applying foundation. So how does it actually apply my foundation (which at the moment is Bourjois Healthy Mix, but I'll let you know how it works with others soon)? The answer is quickly, easily, evenly and perfectly every time! It also leaves me with that lovely air brushed, yet natural finish I've been longing for and covers pretty much all my imperfections! I achieved this finish by dipping the brush lightly in foundation then applying it all over my face with a stippling motion with some blending around the jawline etc.Whereas when I just applied this foundation with my fingers and a foundation brush I found it didn't blend easily, the coverage wasn't very good and the overall finish wasn't that nice, so I imagine it could make even the worst foundation look good! I've also been using it to apply my Max Factor miracle touch creamy blush as many people have said how good it is for cream blush and they're right, it applies it easily and perfectly, giving your cheeks a lovely rosy glow. So overall I'm completely in love with this brush, I'd give it 10 out of 10, recommend it to everyone and it has gained a permanent place in my make up bag. Some may think it's a little pricey for a drug store product at £11.99, but you can get it as part of the current Boots 3 for 2 offer like I did and it's an investment that is 100% worth the price tag (and probably a bit more!) The only problem is I now want the rest of the range, what a typical beauty blogger! Have any of you fallen in love with the stippling brush? Or tried the rest of the range? 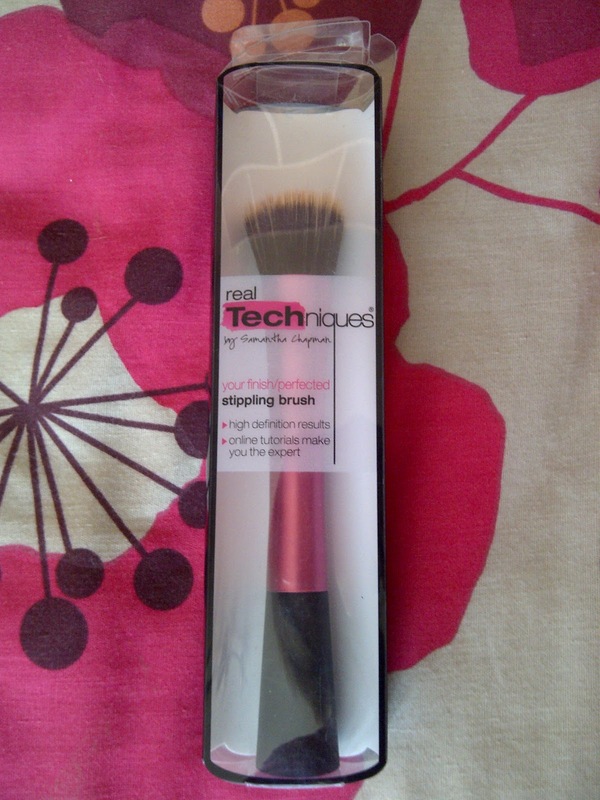 Or have any other brushes you would recommend for applying make up? I'm really enjoying having some time at home with my boyfriend this week, as it's hard being so far apart when we're at uni! Today we started a bit of a running and working out regime which I'm happy about as I walk so much when I'm at uni, but when I'm home I have to drive everywhere, which is great for saving time but not so great for staying in shape haha...The only downside to spending the evening with my boyfriend is that I'll have to watch the new Made in Chelsea on catch up, bad times indeed!